These days, Cameron “Kronovi” Bills and Rocket League are one of the most iconic duos in Esports. 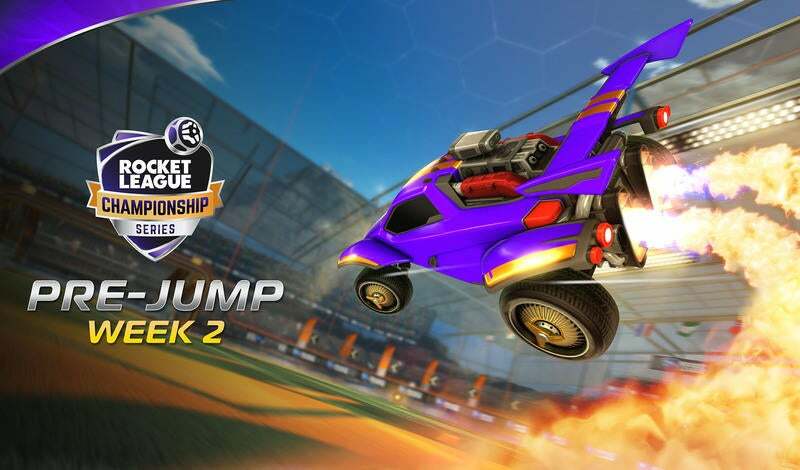 Ever since RL launched in 2015, Kronovi has been at the forefront of the Rocket League competitive scene, quickly rising to fame on Twitch and Youtube while showcasing the highest level of play and leading Rocket League’s charge into Esports reputability. Kronovi broke records for viewership, won a car in a competition, and became a World Champion with iBUYPOWER Cosmic during Season 1 of the Rocket League Championship Series. As the captain of G2 Esports, alongside Jacob “JKnaps” Knapman and Dillon “Rizzo” Rizzo, the team has seen plenty of success. G2 defeated Gale Force Esports (now Team Dignitas) to become ELEAGUE champions last year, barely fell to PSG in the finals at Dreamhack Leipzig, and defeated NRG to become NA Regional Champions in season 5 of RLCS. They would be stopped short by Evil Geniuses at ‘LANdon’ to finish in the 7th-8th position, but only a team that has found this much success would consider "Top 10 in the World" falling short of ambitions. Now, in Season 6, G2 has a strong foothold at the top of the North American standings and will settle for nothing less than winning it all in Las Vegas next month. I had a chance to chat with Kronovi about RLCS, his team, and the road ahead. Q: Hi Kronovi, thanks for taking the time to answer my questions! To start, let's talk about this season. There’s a one million dollar prize pool and your team seems to be in good form. What was the prep like and what were your feelings coming into the season? Cameron “Kronovi” Bills: To be quite honest, there wasn’t any specific prep that we did for this season of the RLCS. A lot of the issues we were having during the off-season stemmed from individual plays. As a result, our prep was mainly focused around people putting extra hours in and really focusing on playing well as an individual, then taking those skills and using them to play as an effective team. Q: You are now on one of the longest-standing rosters with you, JKnaps, and Rizzo. How is the team dynamic? Kronovi: I think our team dynamic is different than when we first formed, but it can shift or change really at any time. One thing that hasn’t changed is our focus on playing as a team. I think the reason we have been able to stick together for so long, and overcome so many hardships, is our ability to communicate problems to one another and then put the work in to fix those issues. None of us are lazy when it comes to bettering ourselves, and there is a lot of mutual respect for one another. Q: What has the process been like identifying your role on this team? What adjustments have you guys been making? Kronovi: Over time, my role on the team has shifted quite a few times. In the beginning, I was a very aggressive striker alongside JKnaps with Rizzo holding the backline. 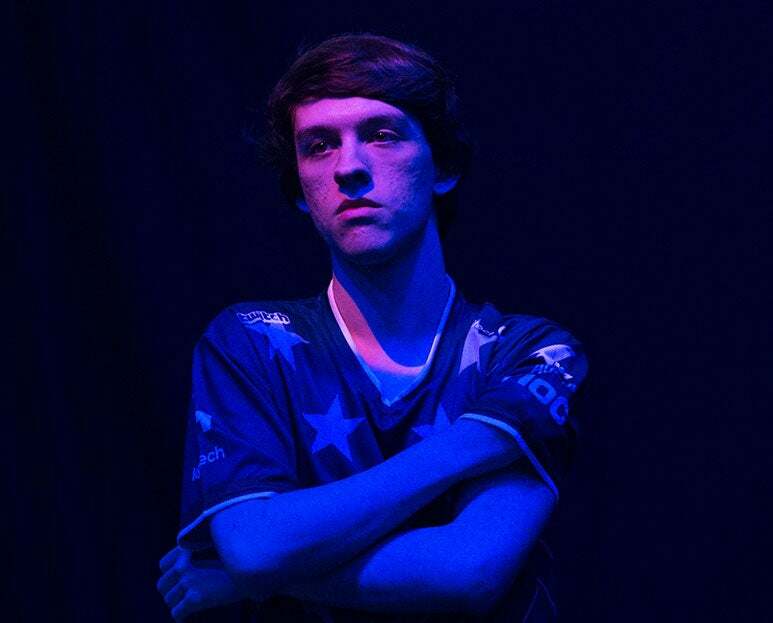 Eventually, I moved to Rizzo’s position and he started moving up to support JKnaps and make solo plays. I think that right now we are heading into a full-on three-man rotation where everyone does everything. It can be really hard to pull off, but teams that constantly threaten with three players WITHOUT overextending on offense will win more games. Q: What is the team’s practice regiment like each week? Kronovi: Our practice schedule is based on the availability of other RLCS teams. Normally, everyone plays a bit of Rocket League on their own. Sometimes that is Ranked Solo Duels or it’s six-mans. Then, we all get on for two to four hours of practice against other RLCS teams. Usually, one RLCS team per hour. There have been times where we play the same team for more than an hour just because both of us really want the practice. If there is a team that looks really good, we will often review replays from that team and try to break them down in order to do better against them in the future. I also spend time watching RLCS replays from other teams when I don’t feel like solo queueing and there aren’t any teams to scrim with. Q: What are the steps you take to make sure you are in proper form for an important match? What is your main focus for improvement? Kronovi: For me, it’s all about playing consistently. I want to be minimizing mistakes on the field so that my team can trust me. I need to be able to get crucial touches, and when an opportunity is presented to me, I capitalize. I don’t have to worry about being flashy or hard-carrying because I have a fantastic team. Q: You’ve been at the top of the game for a while. Do you still enjoy Rocket League the same as when you picked it up? Kronovi: One of the main reasons I fell in love with Rocket League is due to its competitive nature. Everything you do in the game is skill-based. You only win a match by being better than your opponent. I strive to be the best, and I couldn’t be happier playing a completely skill-based game against my friends and in front of some of the largest crowds I’ve ever seen. Q: Can you tell the story of the car (BMW M235i) you won. How did it all go down, and is that the coolest thing you've won? Kronovi: It's definitely the coolest thing I've ever won, and it was total luck! Originally, I had planned on going to E3 with a friend just because I had access from someone at Twitch. Normally, getting into E3 was expensive or exclusive, so I jumped at the opportunity to get in and see something I had never seen before. The night before my flight, I'm browsing Twitter, and something catches my eye. Apparently, a booth at E3 was going to hold a Rocket League competition. I thought it was so cool, so I checked on all the details. As it turns out, the prize for this event was A WHOLE CAR. Literally, no strings attached. I read all the fine print and was absolutely blown away at my luck. 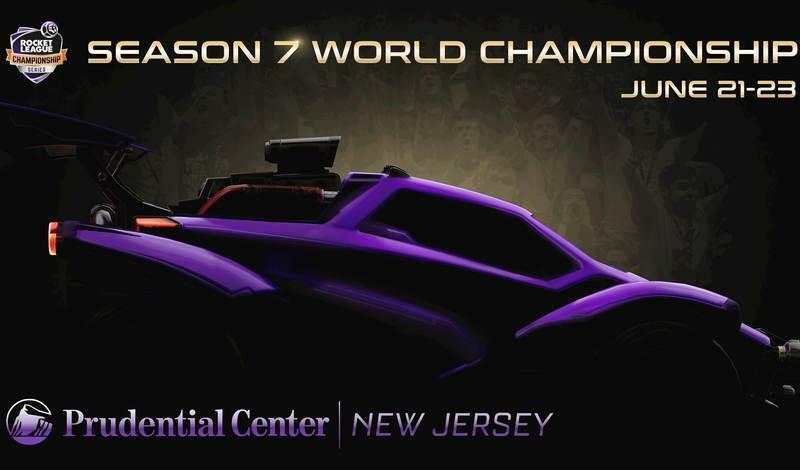 No one could have guessed that this competition was going to exist, and I was the only pro Rocket League player attending E3. It was a very magical experience and I was just in the right place at the right time. Q: Any changes or additions you’d like to see to the game or esports scene? Kronovi: What I want to see is a competitive format that stresses a team’s consistency over their peak ability. Right now, I feel that not enough matches are played in League Play to constitute how long the season and off-season are. Teams can go 2-5 in League Play, win one 'Best of 7,' and make it to Worlds. As for the solution, I am really okay with anything. A League Play double round robin would be nice. A more tournament-style format with majors that give points (much like the recently announced Renegade Cup) would also be a warm welcome. I would love for there to be a reason to be watching Rocket League Esports 24/7. Aside from the competitive format though, I really think that esports-oriented items are long overdue. You see it in other top games, where teams have their own items and skins that you can buy to support the team and also let everyone know who you are rooting for. Q: You’ve been a leader and role model in the scene since the beginning. How is it interacting with such a large community? Kronovi: I always feel very humbled when people tell me that. To me, I just got lucky. Everyone had their eyes on me from the very start and I tried to make the best of it. Looking back at my beginnings, I was far from perfect; However, a large portion of the community is still keeping their eyes on me. I think my job in the community is to be a source of positivity no matter what, but also be a voice of reason. This community is very large, and I think it’s very special that no matter what corner of it I go to someone recognizes my name and asks if it’s really me. I’m very lucky to be where I am, and I couldn’t be more grateful. Q: What do you focus on with your content and how do you approach creating content for your fans? Kronovi: Content creation is something I struggle with, especially during the RLCS season. I’m more of a streamer at heart for sure. I prefer to do things live, no second chances, no editing out stuff later, just do it. A large part of my favorite moments in history are just captured from something happening in the moment, and I love that. Q: What do you have going on outside of Rocket League? How is it balancing Rocket League with other priorities in your life? Kronovi: When Rocket League first came out, I was at a crossroads. Continue college, where I was majoring in Computer Science, or drop it to focus fully on being the best Rocket League player I could be. My parents were (and still are) incredibly supportive of me and I decided to put my future into Rocket League. Nowadays, I’m far more adjusted to this being my life, and my family are very close by. I’m blessed to have very few worries in my life, and so many loved ones near me who support me and what I do. Q: You’ve been a consistent force in RLCS since your World Championship win in season 1. What does your team need to do to break through and win this season? Kronovi: Ever since I started playing with JKnaps and Rizzo, I knew we could be the best team in the world. It took some time to find our footing, but last year we had an incredible run of events that I really hold on to. A 4th place finish at the Season 4 RLCS World Championship, 1st at ELEAGUE, and then barely 2nd place at Dreamhack [Leipzig]. All of those results were in the span of about five months. Team Dignitas is on everyone’s mind, with how many events they keep winning. We have had our chances to take them down but have failed in the past. For us, it will come down to playing with confidence and bringing our best to the stage when it really matters. Previous results and scrim practices don’t matter if you just lose your mind on stage and get tilted. We have to make sure to actually translate all of our work to the matches that matter most. Q: Any final thoughts? Words for fans? Anything you’d like to add? Kronovi: First, I want to thank my family for supporting me way back at the start and never stopping. They let me live my dream, and they are my biggest fans. I also want to thank my girlfriend Carlee for being incredibly emotionally supportive. I think I would’ve lost my mind by now if it wasn’t for her. She’s been there during the ups and downs of my career and has always reminded me what matters most and what I should be focusing on. That brings me to you guys, the fans. I just want to thank everyone that’s been supporting the team since it started, or really since any time. Without our fans, we would not have the motivation to improve and win. We do it for you guys; to impress you all. Even though we have disappointed in the past, you keep rooting for us. That means the world to me -- thank you.